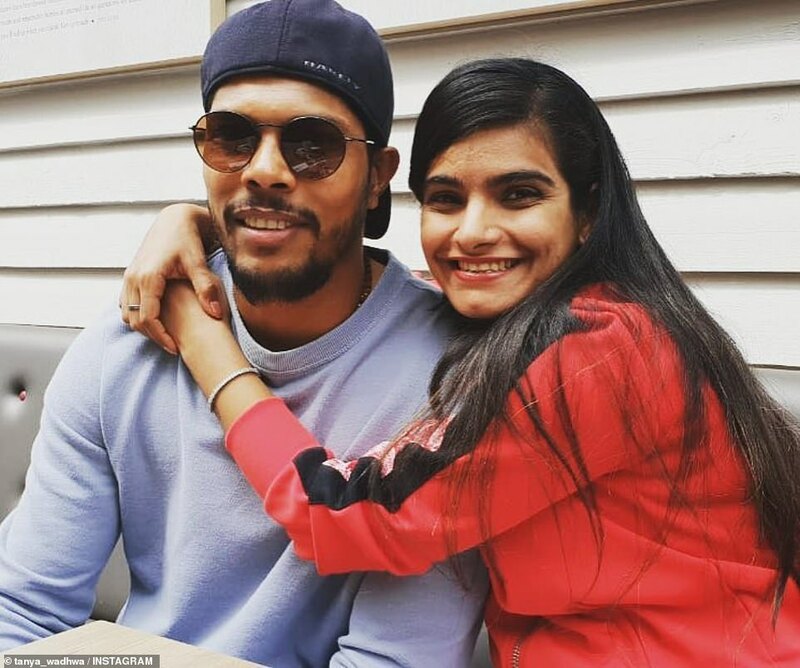 Australian and Indian players have worked long and hard on their preparations for today’s opening Test between the two nations – and so have their glamorous wives and girlfriends. 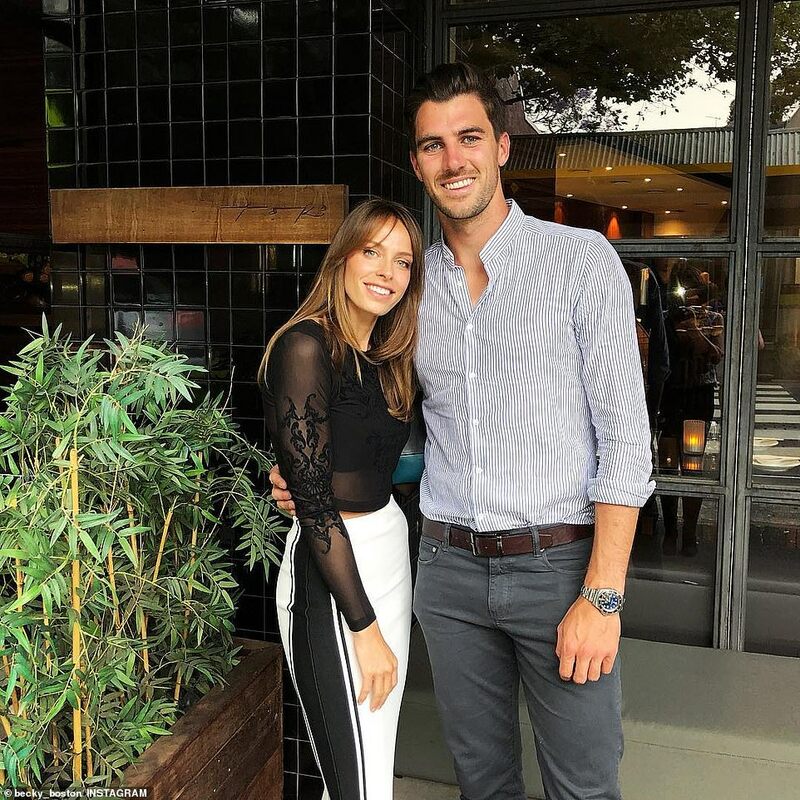 The Australian WAGs will be on the front foot when it comes to their appearances but face a difficult task to matching their high-society Indian counterparts. Ranging from a famous actress, a fashion designer and professional sportswomen – the WAGs are equally as impressive as the men on their arms. The summer of on-field rivalry caps a romantic year for some of the biggest names in Australian cricket, with banned former captain Steve Smith, batsman Usman Khawaja and Aaron Finch all tying the knot. 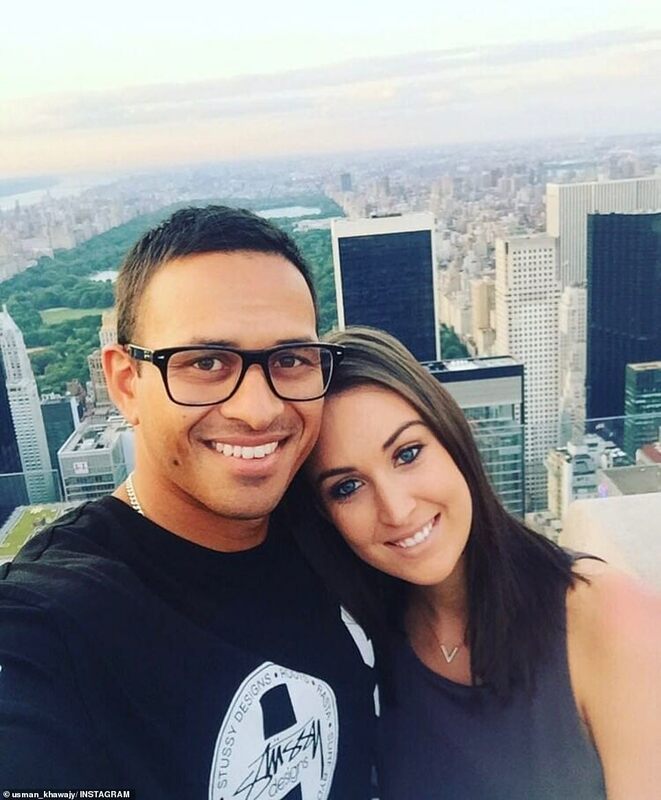 Usman Khawaja, 31, will be supported by wife Rachel Khawaja, 23, whom he married in April this year. Ms Khawaja, who studied marketing and event management, converted to Islam before the pair married at a luxurious ceremony in Maleny on Queensland’s Sunshine Coast. 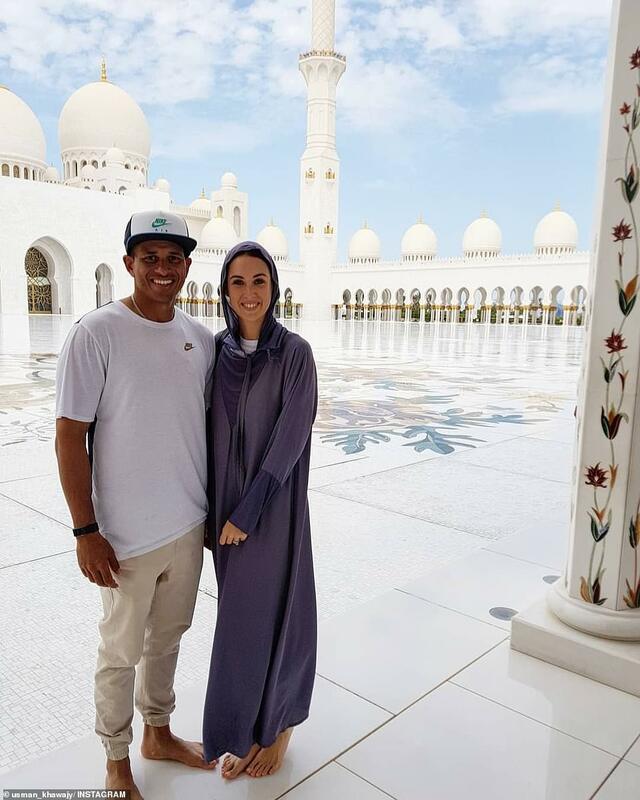 Khawaja, formally from western Sydney, moved to Queensland where he captains the state team – and where he met his young wife. 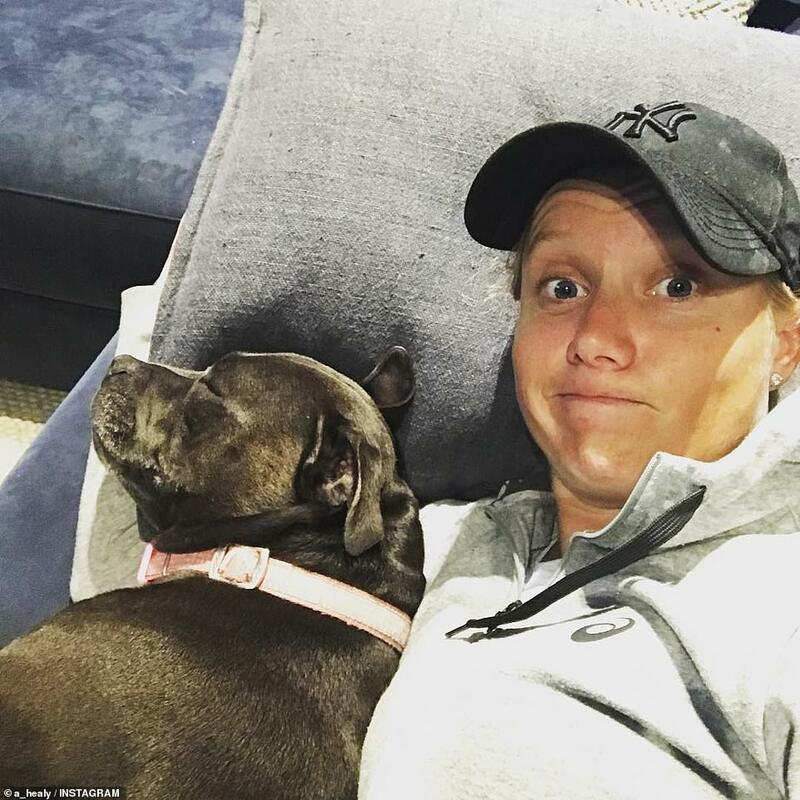 The pair live together in Brisbane and often take to Instagram to boast about their love for their dog Le Bron. 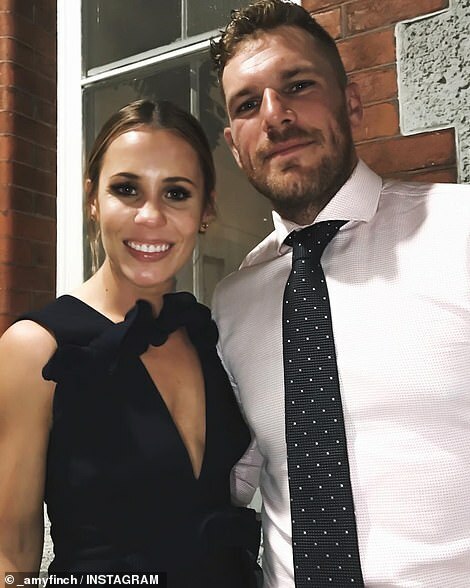 Aaron Finch also married his partner Amy in April at Willow & Stone Estate near the Victorian country town of Ballarat. Ms Finch, who labels herself a dog lover and shopping enthusiast, works in the fashion industry. 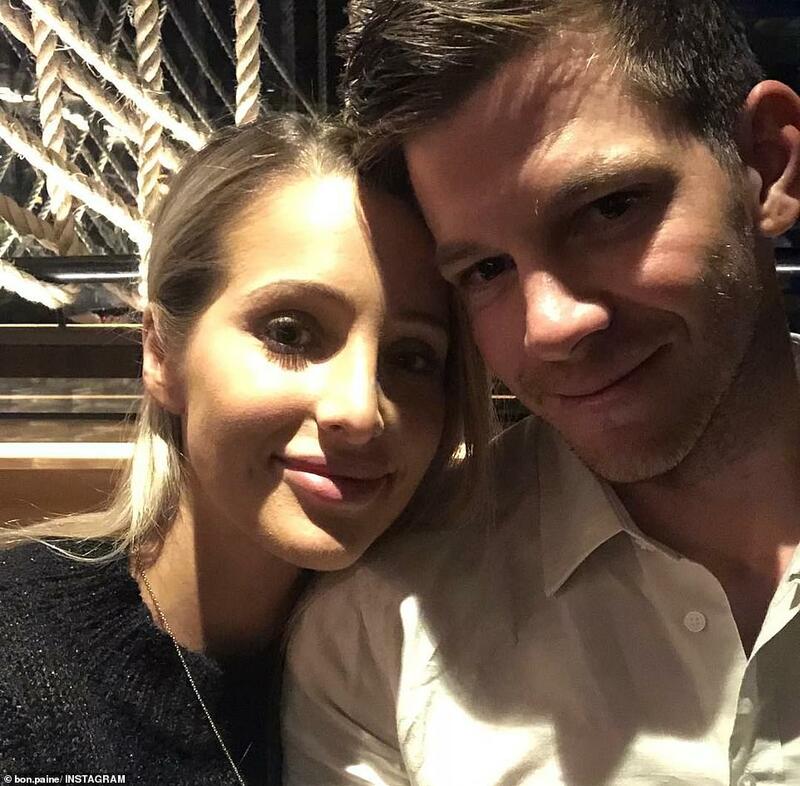 Test captain and wicketkeeper Tim Paine shares two children, Milla and Charlie, with his wife Bonnie Paine after the pair married in 2016. A registered nurse, Ms Paine gave birth to their second child, Charlie, in September this year. Her Instagram is packed with happy snaps of her husband and their two children. A sporting star herself, Alyssa Healy will likely hope she can pass her skills onto husband Mitchell Starc after her heroic World T20 efforts. The professional women’s cricketer was instrumental in Australia’s T20 World Cup win scoring the most runs in the tournament, a total of 225 runs in five innings – an impressive average of 56.25 runs. In the final against England, Healy scored 22 off 20 balls. Healy was unable to bat during their loss to India as she suffered a concussion after colliding with a teammate while attempting a catch. The couple married in 2016 at a waterfront location in Sydney after their love blossomed over a shared passion for the sport. They competed against each other as nine-year-olds in the Northern District Junior Cricket Association and later shared wicket-keeping duties in a representative under-11s team coached by Mitchell’s father, Paul. They played together for some six years before Healy moved into women’s cricket and eventually made her international debut in 2010. 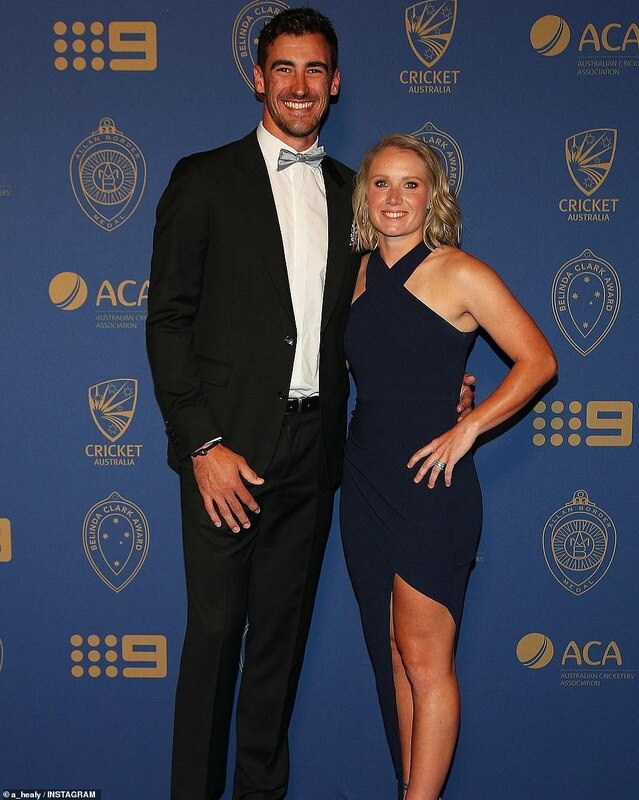 Fast bowler Pat Cummins with be joined by partner Becky Boston – a Yorkshire girl who calls Sydney home. 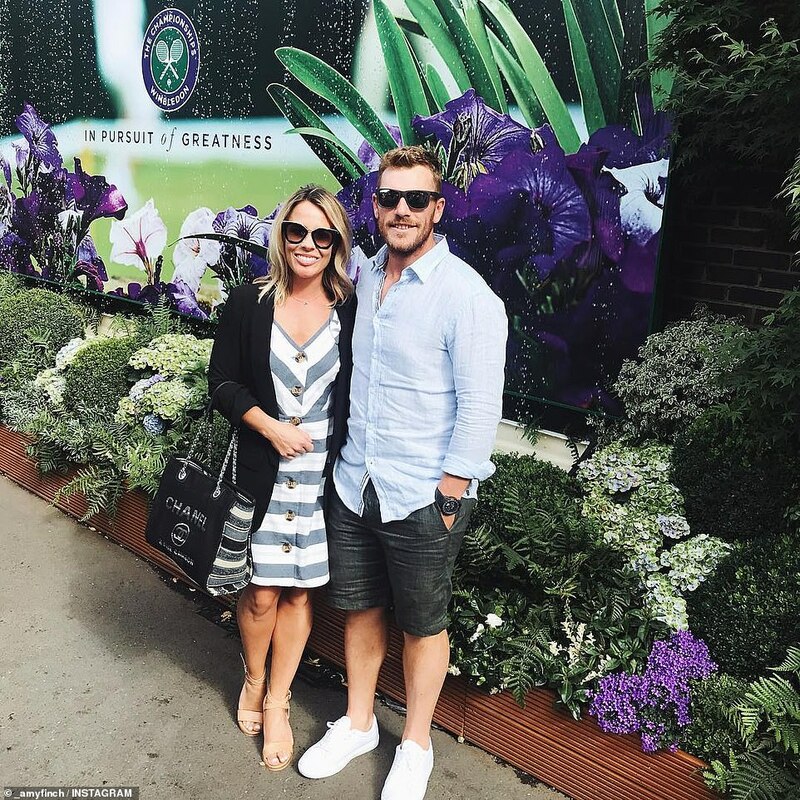 The Sydney-based glamour couple post a number of photos on social media from sporting events and wedding celebrations. 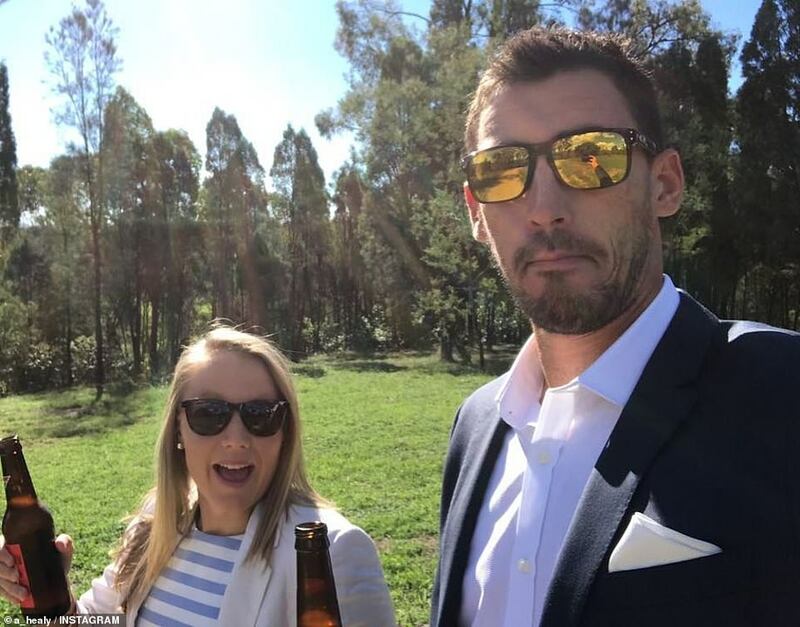 They attended Steve Smith’s wedding to Dani Willis in Berrima, New South Wales, where Ms Boston stunned in a lime dress. 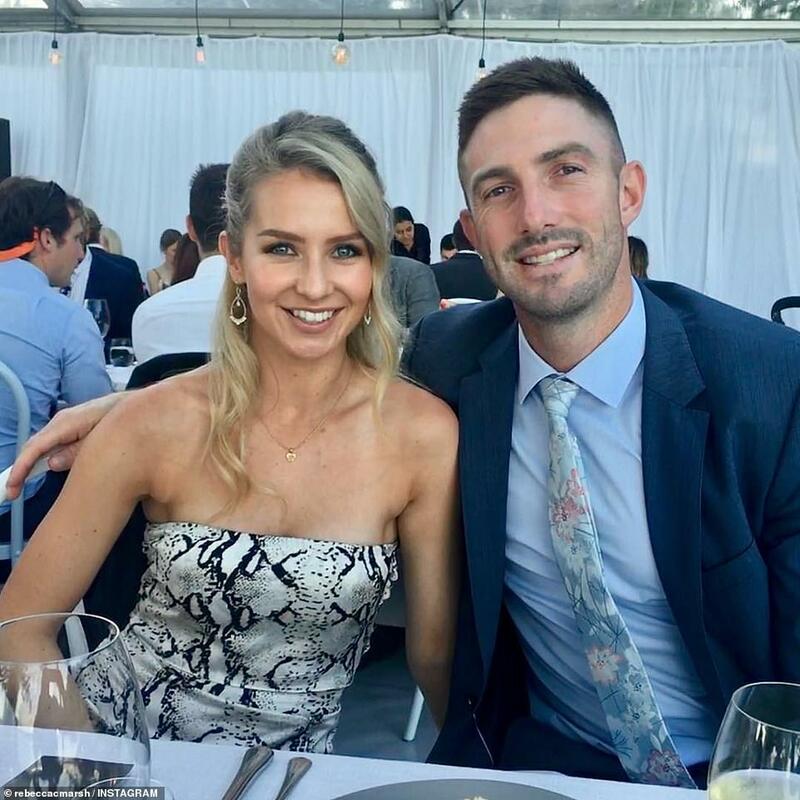 Shaun Marsh will be supported by his wife Rebecca and young son Austin. 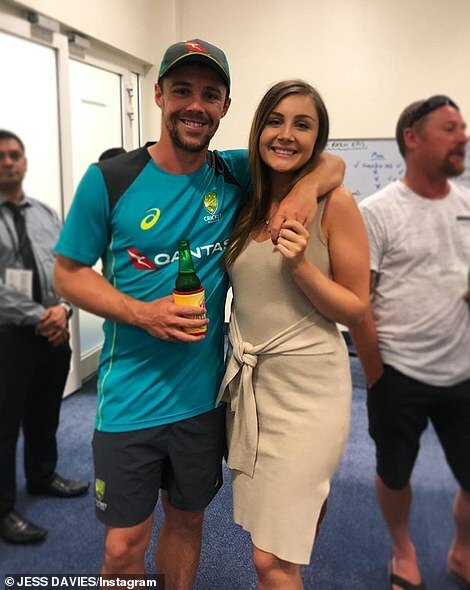 Arguably one of the favourite and cutest members of the Australian WAG squad, Austin makes a regular appearance at the cricket where he hangs out with a number of the prominent WAGs. Ms Marsh, a TV reporter by trade, spends a lot of time travelling around the world to cheer on her husband. The 30-year-old is pregnant with the couple’s second child. 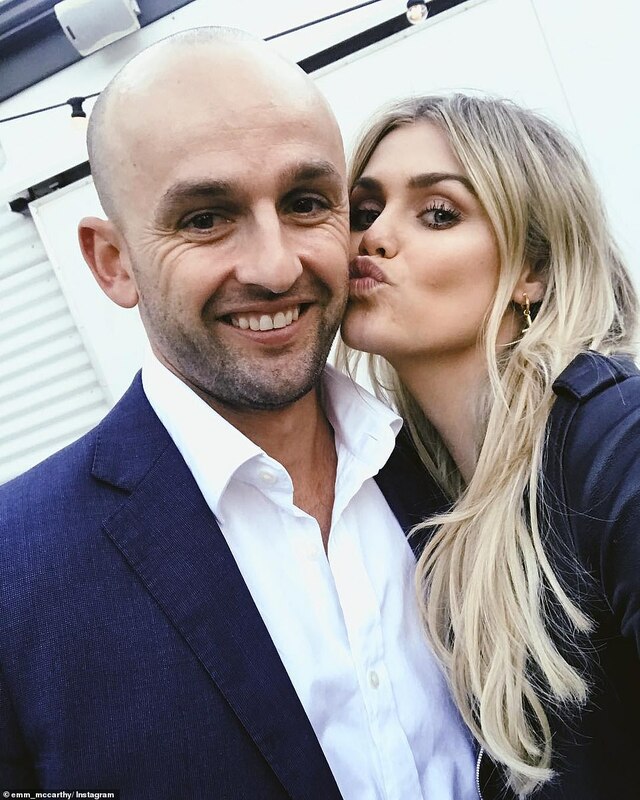 After a tumultulous start to his current relationship, Nathan Lyon will be cheered on by girlfriend Emma McCarthy. 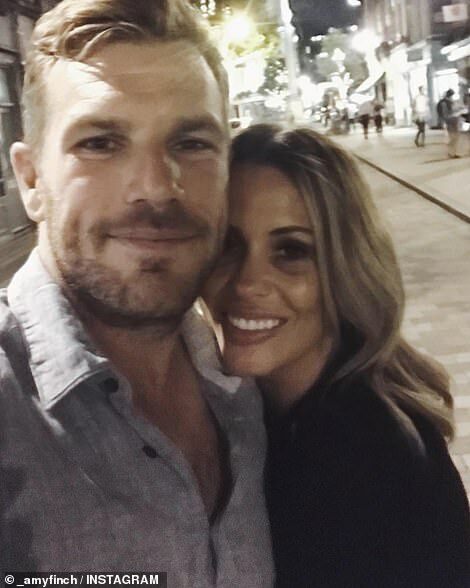 Daily Mail Australia first revealed Lyon had left Mel Waring – his partner of nine years who he has two children with – for Ms McCarthy. The blonde bombshell is a real estate agent from Perth who showcases a number of designer brands in extravagant Instagram posts. 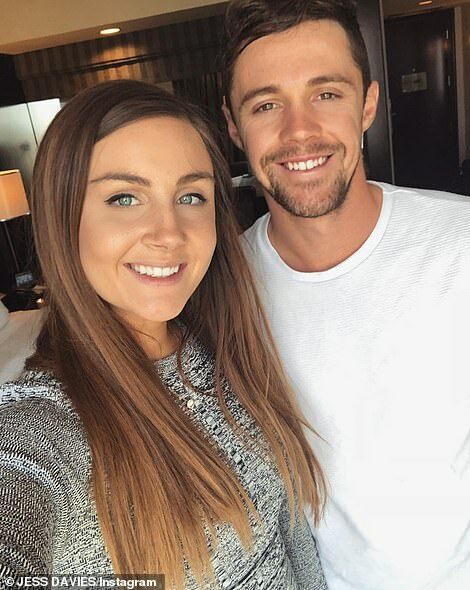 Travis Head’s girlfriend Jess Davies will likely be in the stands after following him to Dubai for his Test debut against Pakistan. ‘Super proud of you ! What an achievement, and so well deserved,’ she wrote on Instagram. 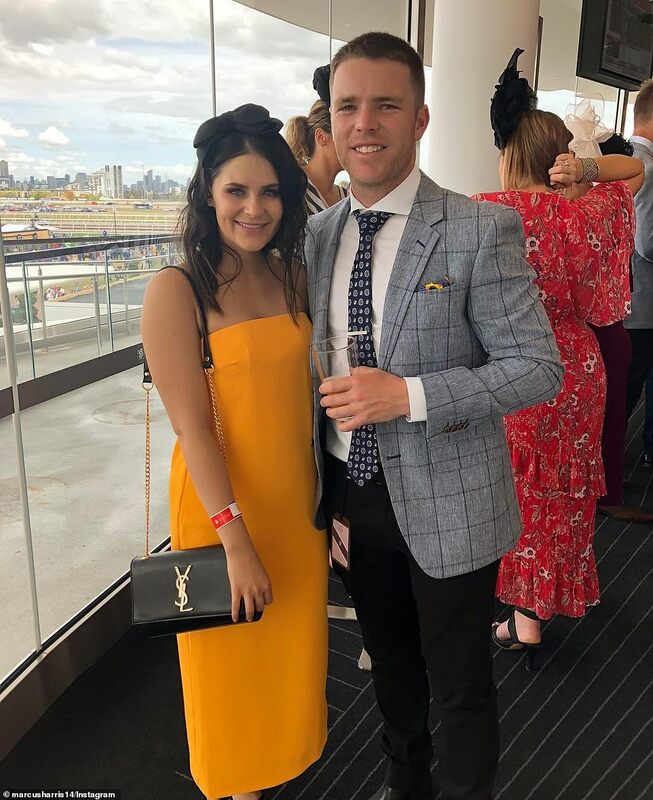 Ms Davies has posted a number of pictures with her partner after his games representing Australia and Adelaide Strikers. Ms Davies wore an extravagant red gown when she joined him at the Allan Border Medal in February. Marcus Harris was named as a member of the Australia Test squad at the end of the November. 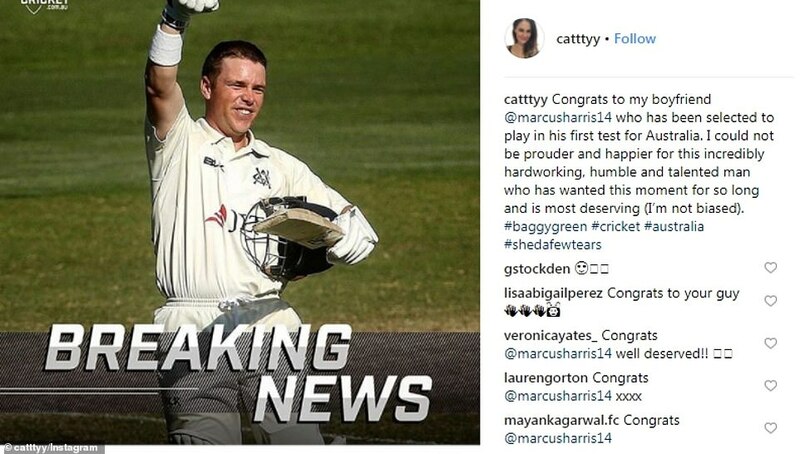 His girlfriend Cat Mcateer couldn’t appear more proud about the news of her partner’s debut in the baggy green. 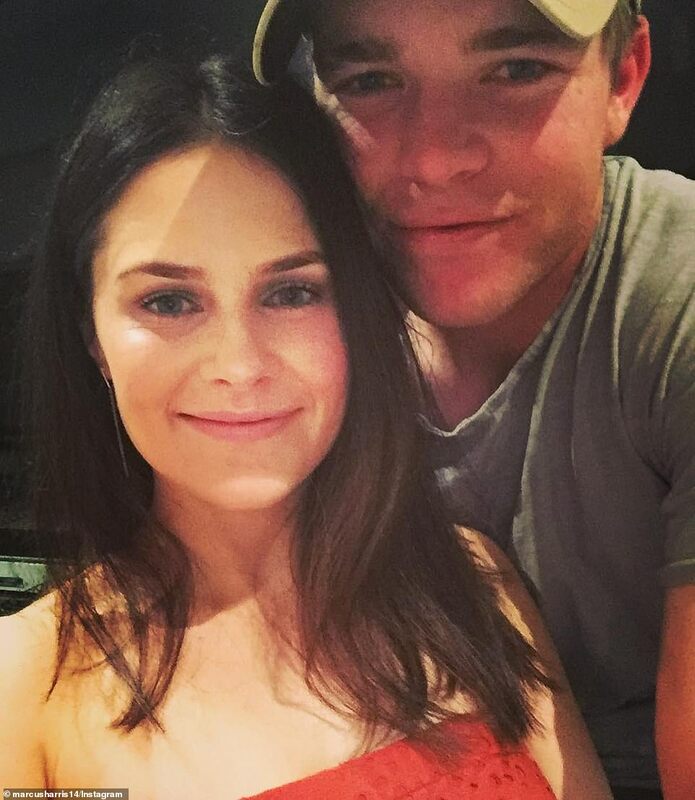 ‘Congrats to my boyfriend who has been selected to play in his first test for Australia,’ she wrote on Instagram. Ms Mcateer’s Instagram description says she is a communications and digital specialist at Boeing, the world’s largest aerospace company. Iconic members of the WAG squad Dani Willis and Candice Warner will miss out on the action as their partners Steve Smith and David Warner are serving a one year ban from domestic and international duties. The first Test between Australia and India will begin on December 6 at Adelaide Oval- before moving onto Perth Stadium and Melbourne Cricket Ground for the second and third Tests. The fourth and final Test will be held at the Sydney Cricket Ground in January 2019. The glamorous Australian squad will be met by the equally impressive Indian cheer squad. 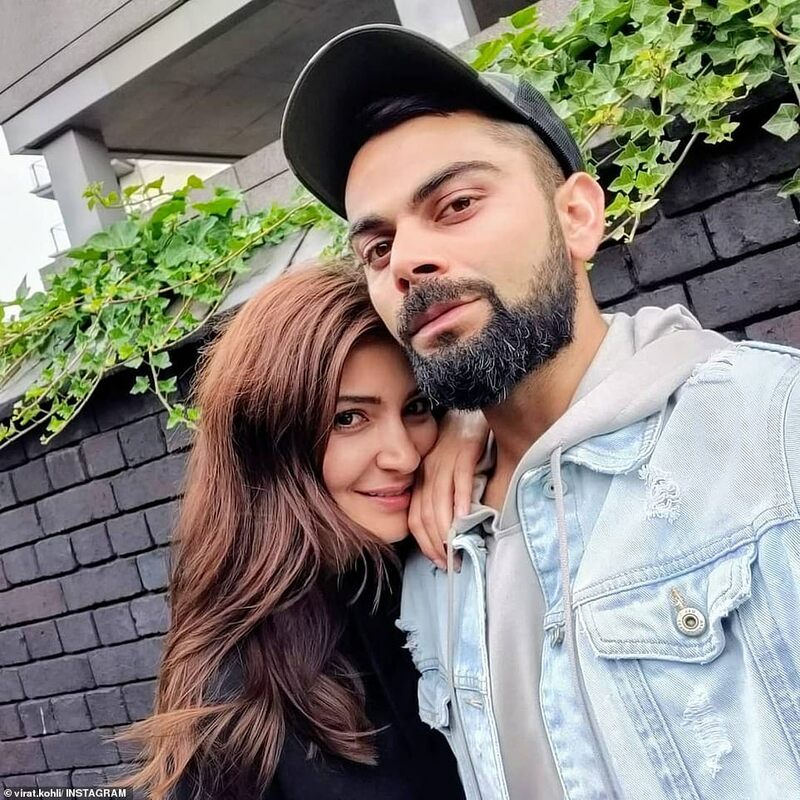 India captain Virat Kohli, 30, and his wife Bollywood actress Anushka Sharma, 30, are so prominent they’ve been awarded their own name – ‘Virushka’. 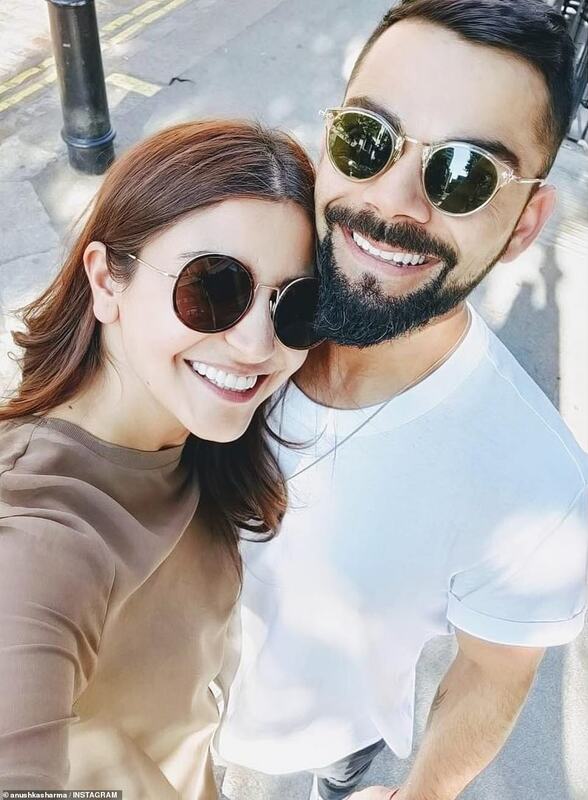 Ms Sharma, one of India’s highest paid and most popular actresses, is well-respected in her own right – before marrying the most famous cricketer on the planet in 2017. 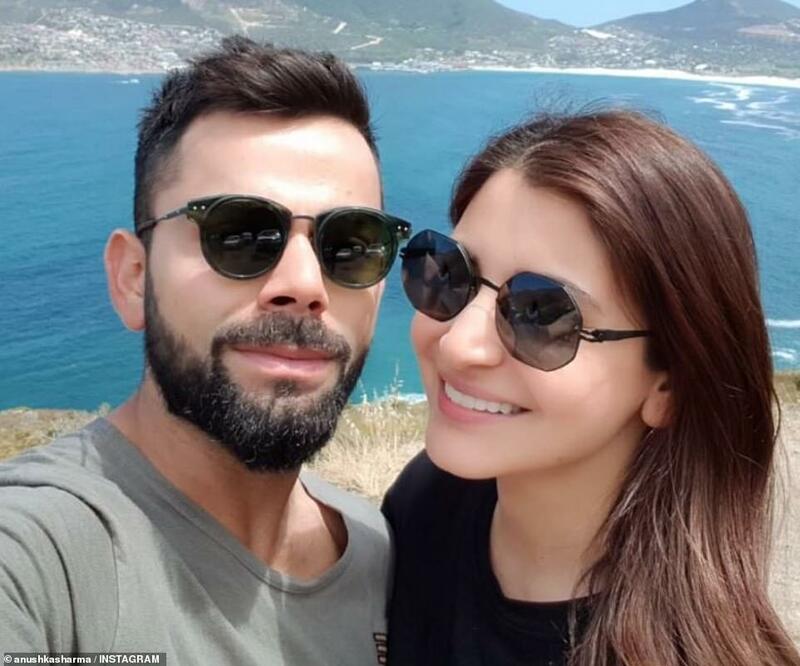 The couple are a marketing machine with about 28 brand endorsements between the pair. 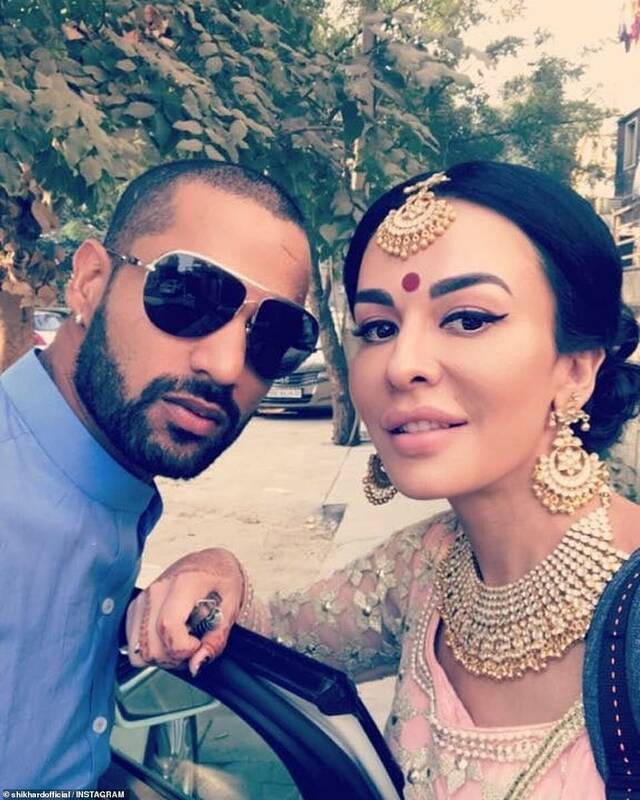 Ms Sharma, who is also a film producer, model and fashion designer, has 21.2 million followers on Instagram – only five million short of her husband who sits on 26.5 million. Her biggest movies – Sultan, PK and Sanju – were some of the highest grossing movies in Bollywood. 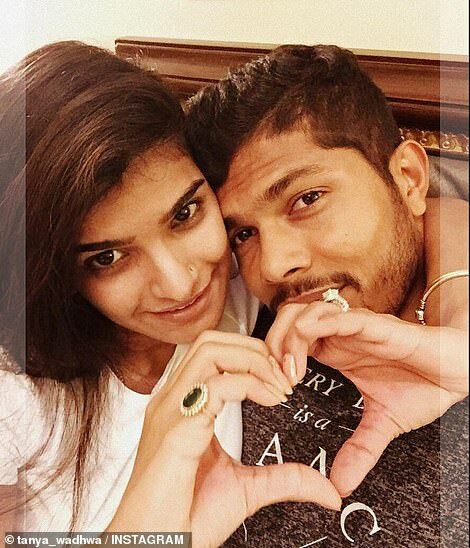 Ms Sharma’s success is joined by fast bowler Umesh Yadav’s fashion designer wife Tanya Wadhwa. Tanya Wadhwa met her husband during her fashion studies and dated for a few years before marrying in 2013. 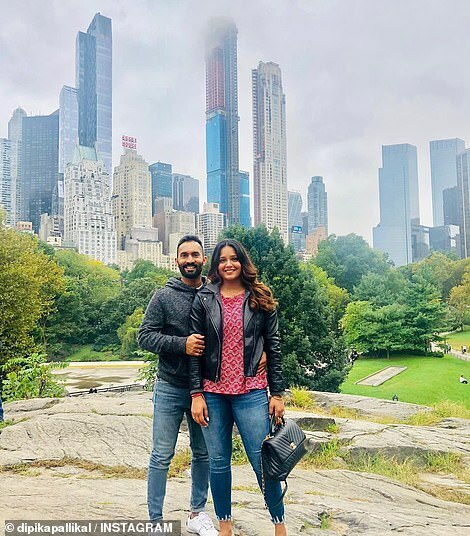 On social media, the fashionable couple enjoy travelling around the world together – visiting luxurious locations that match Ms Wadhwa’s fashion style. 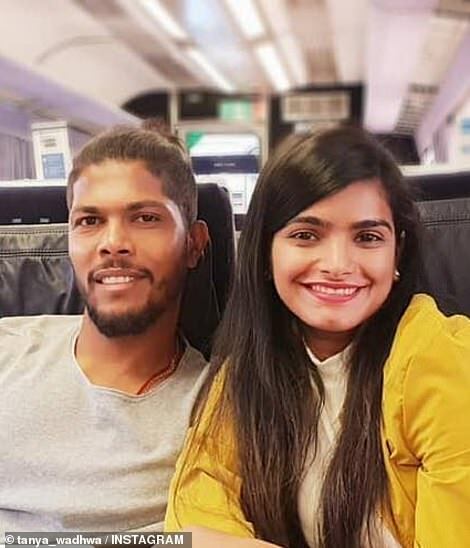 Amateur boxer Ayesha Dhawan, who is married to batsman Shikhar Dhawan, is expected to enjoy her stay in Australia as she will be able to spend time with her two Australian-born children. Born in India, her family moved to Australia where she was raised and eventually married. 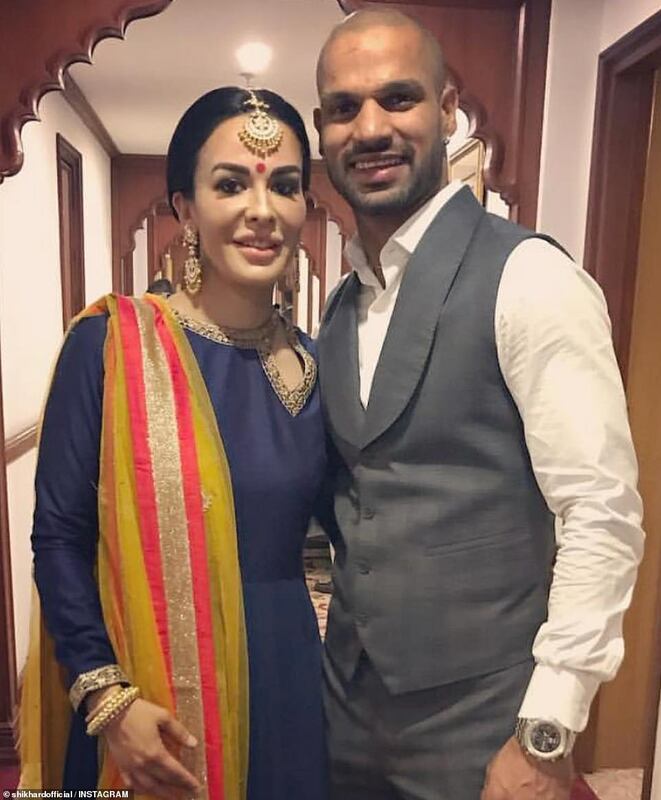 After a divorce, Ms Dhawan reportedly connected with the cricketer on Facebook and started a relationship. The pair married and had their own son. 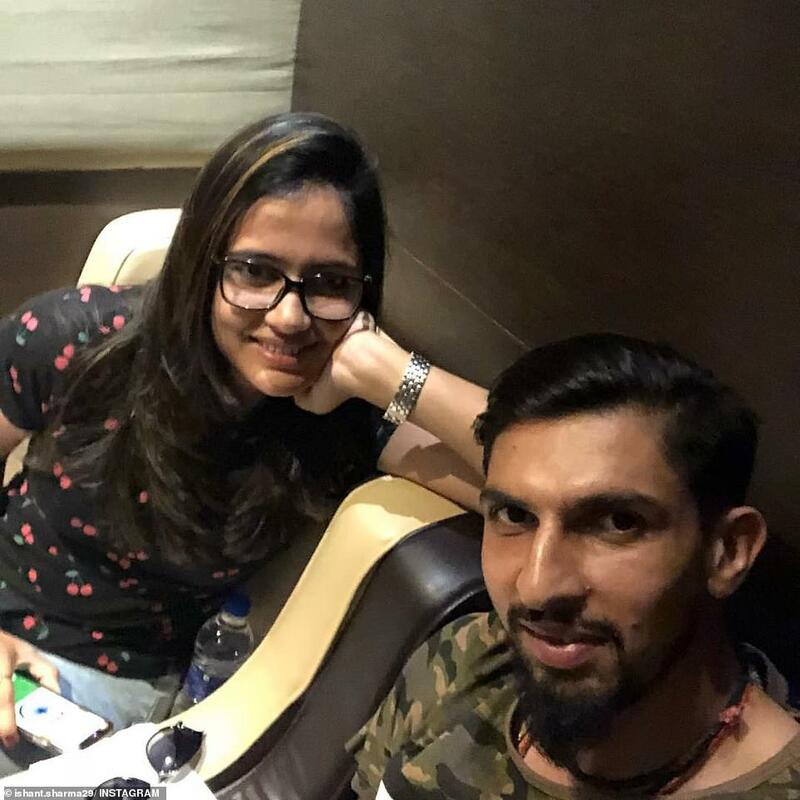 Pratima Singh, 28, the wife of fast-medium bowler Ishant Sharma, 30, understands the pressures of international sporting duties as a member of India’s national basketball squad. 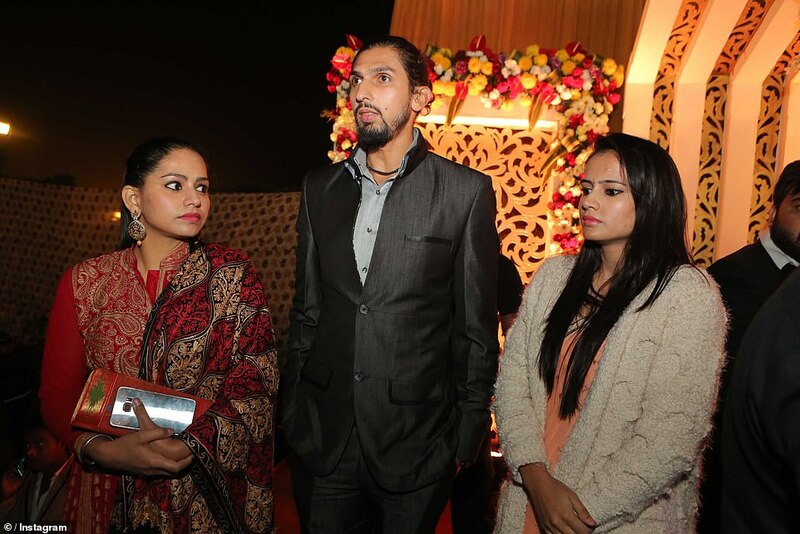 Ms Singh and three of her sisters are representatives of the Indian women’s basketball team, fondly referred to as the Singh Sisters. Her Instagram feed is filled with feminist slogans, reminding her followers to seek independence – beyond the duties of the household. Ms Singh isn’t the only sporting WAG. 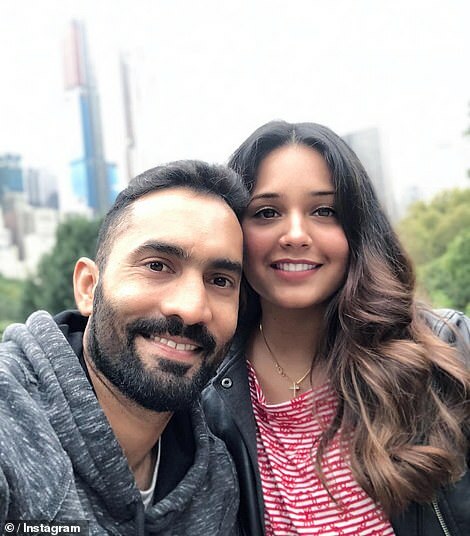 Dipika Pallikal, 27, married to wicketkeeper-batsman Dinesh Karthik, 33, is a professional squash player. Ms Pallikal is the first Indian woman to crack the top 10 of the PSA Women’s rankings. 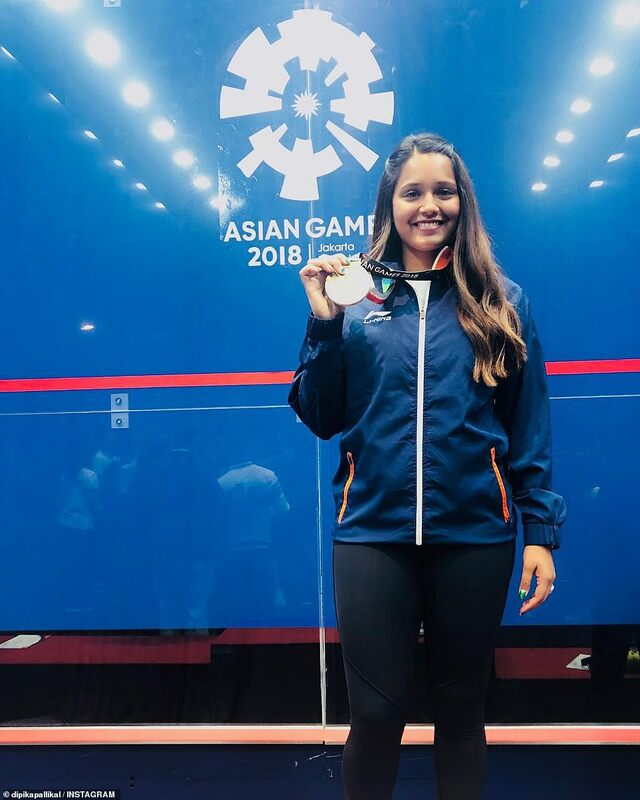 She won a silver medal at the Gold Coast Commonwealth Games this year, among a list of impressive titles. On November 17, she urged her Instagram followers to support the Indian women’s cricket team in the T20 world cup with the hashtag #JerseyKnowsNoGender.